Tsukasa Taiko is a program of Asian Improv aRts Midwest that offers taiko drum instruction, education, and performances. Its mission is to preserve, develop, and pass on the traditional concepts of Japanese art as a cultural legacy, while also expanding and evolving the art of taiko. As a community group dedicated to understanding and strengthening Japanese American, Asian American, and Japanese identities, Tsukasa Taiko respects tradition while developing artistic excellence and connoisseurship. Nevertheless, Tsukasa Taiko’s programs are open to all. Its student and performing groups are composed of a range of ages from toddlers to grandparents, as well as representing an array of ethnicities. Tsukasa Taiko offers year round group music classes, private lessons, and a variety of special workshops for traditional Japanese musical instruments, including taiko, shamisen (3-stringed lute), and shinobue (bamboo flute) to all ages and skill levels. 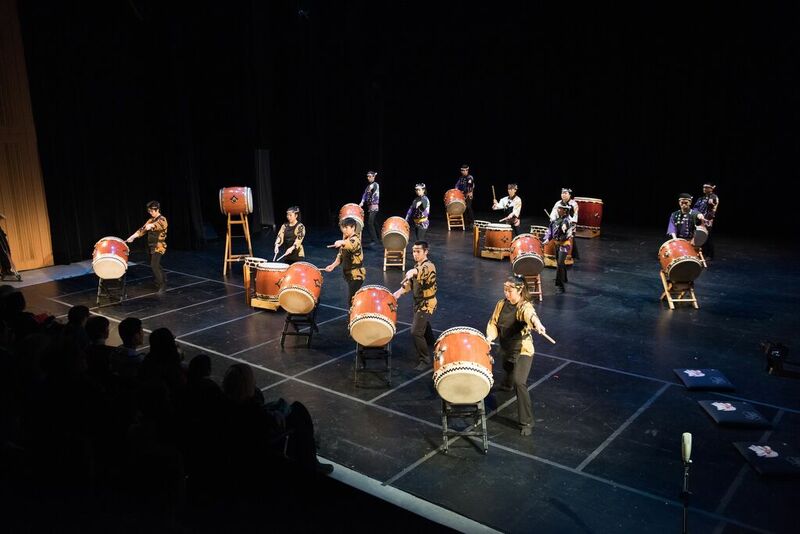 As an active performing group, Tsukasa Taiko presents over fifty shows a year, both locally and internationally. Tsukasa Taiko offers classes, workshops, lectures, and demonstrations designed to teach how to play taiko, as well as to advance the understanding of the cultural arts as a reflection of a community’s heritage and legacy. It works closely with schools, companies, and corporations to provide special performances and presentations on the history of taiko and Japanese music. Tsukasa Taiko’s popular performing ensemble maintains an active local, national, and international performance schedule, including such prestigious venues as the Contemporary Museum of Art, the Steppenwolf Theater, the Chicago Cultural Center, Millennium Park, the Chicago Jazz Festival, Chicago Symphony Center, the Smithsonian, and the Malta International Theater Festival in Poland. Tsukasa Taiko’s director, teachers, and staff are all dedicated professionals, recognized as world class, working artists. Director Tatsu Aoki is a world renowned, highly respected performing musician, composer, and recording artist, who works in traditionally based Japanese music as well as experimental and jazz idioms. Guest artist Noriko Sugiyama has returned to Chicago from Japan, having been granted a performing visa to work with Tsukasa Taiko. With its strong leadership and aesthetic vision, Tsukasa Taiko is positioned to further expand and advance Japanese art in Chicago, and to develop as a cultural beacon for the future. From its home at JASC, Tsukasa Taiko maintains an active national performance schedule and has presented its works at major venues including Chicago’s Museum of Contemporary Art, the Chicago Jazz Festival, the Chicago Cultural Center, and Millennium Park, as well as the Smithsonian, the Indiana State Museum, the Saint Louis Art Museum, and San Francisco’s Yerba Buena Gardens. We collaborate regularly with our sister taiko ensemble, Gen Taiko of San Francisco. In addition to presenting high caliber artistic programs, Tsukasa Taiko is deeply committed to its roots in Chicago’s Japanese American community and performing regularly at various festivals, special events, and other programs in the Japanese American and Asian American communities of the Chicagoland area. 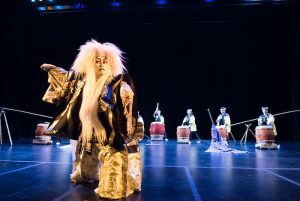 While being dedicated to building community and being a leader in the taiko drumming culture of the Midwest, Tsukasa Taiko also maintains a national profile by presenting powerful performances across the country throughout the year. 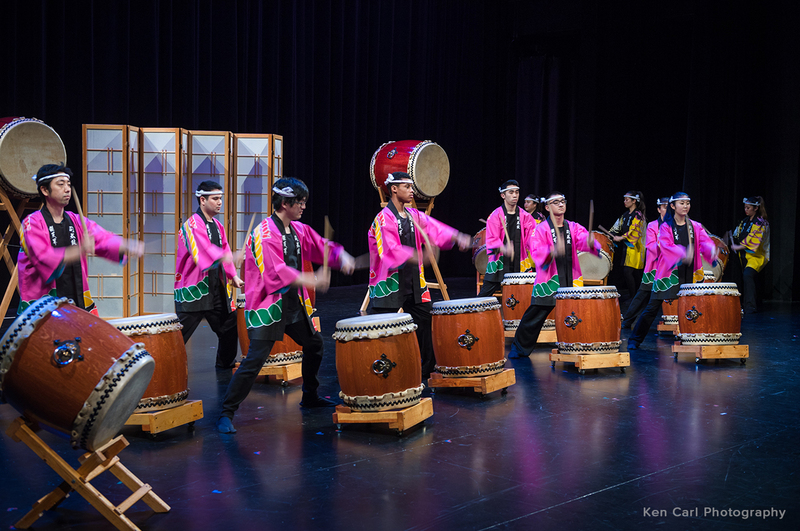 Tsukasa Taiko performs at a variety of events, including corporate and government events, community celebrations, and cultural programs, on major stages throughout the Midwest and the nation. In addition to an active performance schedule, Tsukasa Taiko presents programs, lectures, and demonstrations designed to advance the understanding of taiko and its role in Asian and Asian American culture. Tsukasa Taiko works closely with the public schools and community centers of the Chicago area, presenting demonstrations, classes, performances, and special workshops held throughout the year.